"ASEAN-Japan Centre 2015: Introduction of the Centre and Its Activities" is now available! 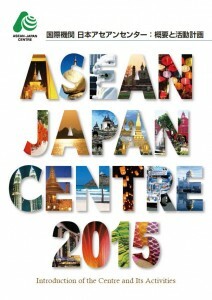 The brochure “”ASEAN-Japan Centre 2015: Introduction of the Centre and Its Activities” is now available. It introduces missions and roles of the Centre as well as its highlighted activities in FY 2015. For PDF version of the brochure, please click here.